Bhubaneswar27/810/18:: The Odisha Pradesh Congress Committee (OPCC) on Saturday reconstituted its media and communications department and appointed 22 leaders as spokespersons. 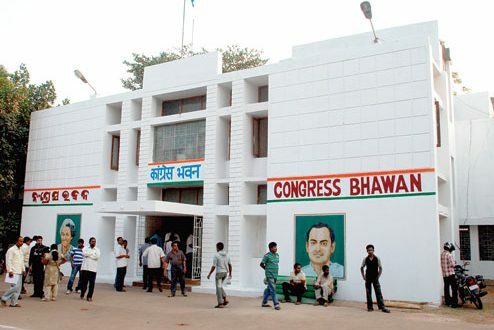 “Following the approval of the All India Congress Committee, OPCC president Niranjan Patnaik reconstituted the media and communication department of the party’s Odisha unit,” said media and communication department chairperson Satya Prakash Nayak.Tara Prasad Bahinipati, Bijay Laxmi Sahu, Prafulla Majhi, Hamid Hussein, Ansuman Mohanty, Sucharita Mohanty and Samarendra Mishra have been appointed senior spokespersons. Previous: Jharsuguda MLA Naba Kishore Das sought Naveen Patnaik’s intervention for regular flight operations at Airport in Jharsuguda.